Description A particularly great day for the coast flight. 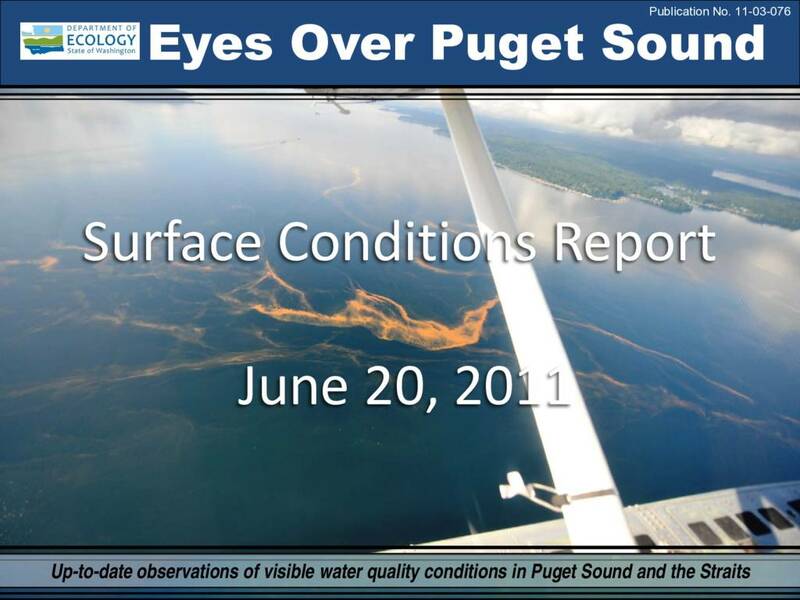 Extensive Noctiluca bloom (confirmed by microscopy on 6-21-2011) in Central Basin of Puget Sound, red brown and turquoise blooms in South Sound. Decreasing dissolved oxygen (DO) values at Mukilteo and Manchester mooring stations.